Buy Bio-Nature Lemon Myrtle Soap Bar in the UK from our online shop or directly from our independent Scottish store. This traditional handmade soap contains certified organic Lemon Myrtle leaf & essential oil. It is ideal for use by people with sensitive skin and the natural anti-bacterial properties of this moisturising soap will help cleanse and protect the skin beyond that of normal soap. 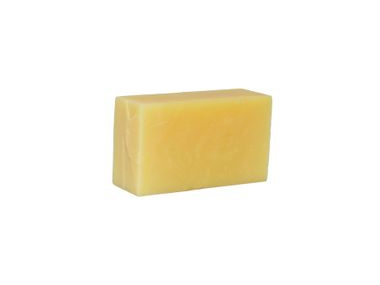 Whilst being stronger and more effective than soap containing Tea tree oil, the natural citrus lemon aroma makes using this soap an all together more pleasant experience. The inclusion of cut leaf adds to the overall effectiveness and may offer a slight exfoliating action to help cleanse and replenish the skin. As official Bio-Nature stockist, we sell genuine Hand Soap Bars directly from our shop in Scotland and online throughout the UK. Bio-nature’s wealth of experience in supplements and natural body care has allowed them to put together a range of natural products that are simply effective. View more products from Bio-Nature. Where can you buy real Lemon Myrtle Soap safely online? If you are wondering where you can buy Bio-Nature Lemon Myrtle Soap Bar safely online in the UK, then shop with us. We are an actual health foods shop; with real people selling real foods and products. Our award-winning independent shop is located in Stirling, Scotland since 1976. You can buy our Supplements, lemon myrtle and natural body care and other genuine Hand Soap Bars in store or safely place an order with us online or over the phone. Lemon Myrtle Soap - Bio-Nature Lemon Myrtle Soap Bar in Hand Soap Bars and Hand Soaps.